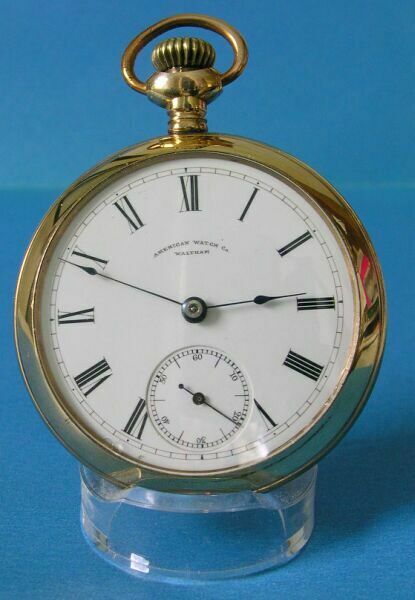 American Watch Co./ Waltham 18 size stem-wind, lever-set pocket watch. 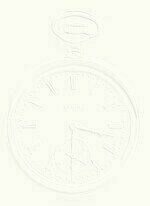 Philadelphia Watch Case Co., "Guaranteed Twenty Years", #8203XXX. The case is heavily plated and shows little, if any wear-through. 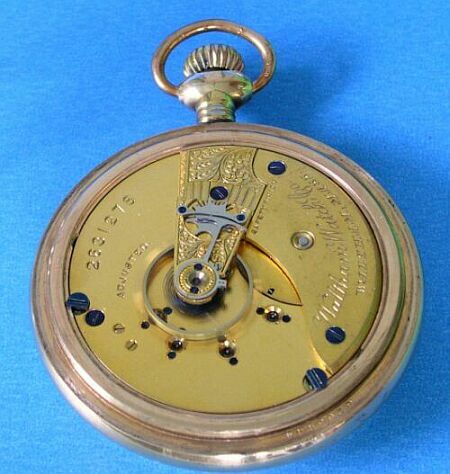 The glass crystal has several small spalls on the edge; the dial is in mint condition. The Waltham Watch Co. eleven-jewel movement in mint condition. The serial #2631XXX indicates it was manufactured c. 1885. The watch has been cleaned and overhauled by a professional watchmaker and it is keeping good time. 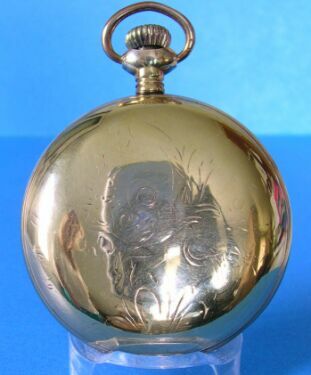 This is a good collector�s watch that will only increase in value. # 1177 $ 249.00 + shipping.